Agrigento Private Tours Include: Our private tours of Agrigento include private “driving guide”, private door-to-door transportation, expert tour guide for Agrigento’s archeological site, entrance fees to Agrigento’s archeological site, taxes, tolls and parking. Departure Points: Palermo’s port for the shore excursions and Palermo city center. Also, Catania, Taormina, Noto, Erice. Other departure points available. Inquire. 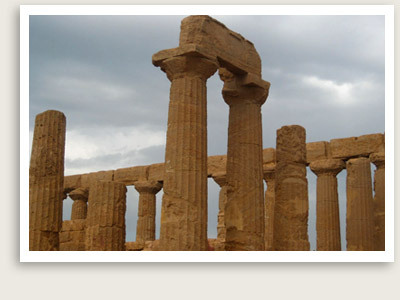 Your private tour in Sicily takes you to Agrigento with an expert tour guide for these archeological sites. 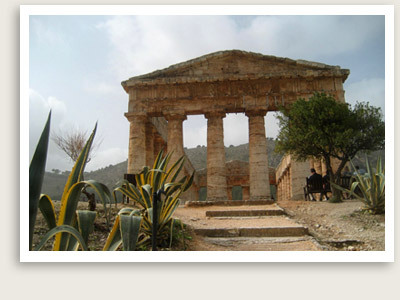 At the foot of the city, you will tour one of Sicily’s most important archeological sites, the Valley of the Temples. These five beautiful Doric temples standing along a ridge were designed to be visible from all directions. This private tours of Agrigento offers a tantalizing glimpse of what was surely one of the most luxurious cities in Magna Grecia. You will also enjoy a guided tour of Agrigento’s archaeological park, where you will see the temples of Hercules, Concord, Juno, Jupiter, Castor and Pollux.